In fact, they also apply to the rest of my household. I have unfortunately found that there are many ways in which fraudsters try to fool money from us. I want to have as many as possible but believe me, before I have finished writing, a new form will appear which I have not seen. The latest thing I discovered was a mail from Spotify that I should pay for it. I have never signed up for the service. So I clicked the link to stop it. But I quickly discovered that what I clicked was not the official PayPal page. That’s just a way to Franken us our credit card information. The Internet is the perfect place to reach us users with all sorts of ways in which the fraudsters can frank our money. One of the topics I’m hunting for this website is money. Yes, in the last many years, I have met systems that promise you to create a fortune without the vast knowledge. Some of the networks I’ve met leave most of their providers using that tactic. Here’s how to get you to buy the first product after which they pull you through many more sales pages. Of course, you will get a lot of discounts if you buy before you think about whether you also need the next product. In most cases, they are both inadequate and are not at all targets with the price you paid. Yes, I admitted I’ve been jumping into the trap for many times. All I achieved was getting a little poorer and still wasting my precious time. Do you only see money and can not be allowed to see what the product contains before you pay. Then there is usually a garden too. Another symptom may be free software that promises that it can look into the future. Here I am thinking specifically of alternators who would like you to wonder online. I’ve tried to test it but like when you’re going to gamble, you’ll win a bit. To then lose the rest. The way to cheat on here is to make you feel it’s worth it. Let’s not forget about any competitions where you get a draw in a draw for a few more clicks. All you have to give them is a few contact details. They can sell to a lot of companies who then have free games to invite you to buy products as they believe they can sell you. For them, it is about getting as many as possible in the trap. This form does not convert very high. Then there is one of my favorites for surveys that you have to pay to participate. Yes, you heard right. Here you can become part of a network that participates in surveys. A few of them are real enough. But unfortunately, the vast majority of systems want your credit card information so they can make it a small subscription. That is not at all particularly relevant to what you wrote up. If the amount is low enough, the chances of discovering it within the first few months are not that great. When you have to sign up, you will need to have a new credit card in some cases because it can be almost impossible to get out of here without traps. Then there are those who come directly to you either by trying to get in touch with you in a chat box. Here I am thinking of messenger or hangout. Here I often find the fraudsters trying to get me into a slow acting trap. Here you regularly meet two different kinds of cheats. The first is one who publishes himself as a representative of a distant relative that you apparently have in a third world country. One has a fortune saved for you. This fine is based solely on franking your bank details. You get a promise on an amount that never wholly affects your account. However, we have somehow received confirmation that the money has to you. Anyhow, do not reach your account unless you pay an amount to get it free. The last thing I want to get into is dating scam. Frankly, you think you suddenly get a beautiful young girl to come by and visit you. I have experienced it both in my mail but also in the social media chat program. She pushes herself on, and before you see you, she asks you to send money so that you can meet. A little out of the category, with the last two, but whatever you do online, there will always be someone chasing you to fool you in one way or another. The last two things I want to talk about in this section are a matrix and network marketing. Here you are often invited to some form of presentation. A product that you can promote and sell. But the money is in the product itself, no they are where you recruit others to do the same. I have been on for some years now. Preserved there are a number of the massive network marketing companies that have been on for many years. However, many of those who have an online deal have come and go. Yes, I can mention more people who have been in the authorities’ searchlight. Some of them have led the prisoners to imprisonment. The reason has in some cases been that the owner has avoided paying taxes. There may also be no physical product involved. When there is a physical product involved, it legally. But yes there is one. When you engage with network marketing, you do not own the business. That means that you can lose it all with a blow stroke. Many times, the products focus on getting a better life. Yes, wellness both economically and physically. My problem still is that it is about recruiting. You will as part of a chain. With a product that you have not chosen. My general problem is that it is challenging to create a sale. It is still difficult to recruit the right one. Yes, it has been a lot of promotion here for the last couple of years. Then there is usually no physical product involved. They usually build around some info product. That will help you get more partners into the matrix. The problem is that when it’s full enough, it loses its value. When that happens, it’s always the last point that will pay for the creator to get his money. I have met the same people as backers in several cases. Some of them have I written about here on the page. Yes when they have closed one, they just start a new one afterward. Whatever you meet, it’s always a good idea to be on duty. When you receive a request, it is usually always to get you either to buy or to invest. In most cases, you think back to what you’ve met with numbers. That’s where you should have found it. Ok, there are a few exceptions where you are looking for it. But still, in nine out of ten cases, they are the ones who are looking for you. Do you only see money big cars and big houses or beautiful young ladies as a catcher? In many cases, it is not a product that has the value it expresses. I have repeatedly experienced plug-in for WordPress that steals context. Helps you put it up in a natural way. The problem here is just that you do not develop yourself by using it. The search engines and social media have seen this so many times that you do not hit any vital pages in the search. You may risk losing your social account. 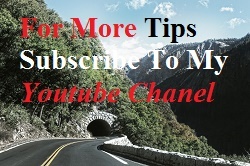 Yes, Google + and youtube have become very strict with the kind of automated tools. Promises a lot of gold. Can you be sure that it both spills your money and your money? After studying some of the software that you can use to trade stocks and options online, they use the same tools to get you into the trap. The purpose of all the excellent results they show is to make you spend money on purchases that you do not need. ==>Believe there is only one tool that works and it is you. All you need is a website that in a safe place. Of course, it’s a significant advantage to learn how to set it up. Have a vast network that can give you feedback and answer the questions you’ve got along the way. The rest is just a waste of time. I know many who also spent a long time before they figured out. What I’m talking about here is not spam. No, you’re allowed to keep your credit card information for yourself. But you still get a website, and you also learn to put it together. Nor is it taken from you. If you decide that there is nothing that you will spend time on anyway. Rules you must create to avoid Scam. Be sure to know the sender. Have you asked for the material? Sounds too good to be true. So it’s usually as well. Please do not disclose your contact information. Do not delete credit card information. I use PayPal to shop online. If you do not, then it’s usually cheating. Are you open if you? Personally, that’s not something I fear more. There are always new fines coming. I have not fallen for all the fines, but sometimes it has been challenging to figure out if it’s a terrific deal or whether it’s an attempt to cheat you. It feels a bit embarrassing to me if, for example, I have bought a course that unfortunately turned out to be completely worthless. I was a member of the Empower Network. I paid in expensive judgments for nothing. I received the recruit recruited a couple of people there. Also received payment because they were too part of it. Fortunately for me, they were a bit smarter than I was at that time. But it cost me a lot of money, and the only thing I learned was that I should get others into the trap if I just wanted a small portion of my money back. Was where I paid my tuition. 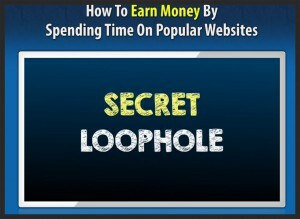 It also helped me and taught me that there are some completely different rules of play if you want to build an online business. One thing I fortunately never fell for is dating scam. But I know people who have for a lot of money. The creepy here is that they play with your feelings to get as much money out of you as possible. I often get in touch with young ladies who are out to meet with me. My problem here is just that I can not understand what they want at all with a man of my age. I do not want to waste my time on it. Unfortunately, I have both experienced friends and colleagues who have been smoked directly in that trap. They are back with a terrible illusion. But as you can understand, I think it was very embarrassing when I fell for one of the infinitely many ways of franking our expensive money. Now, this site for me to be able to chase all kinds of spam. I go specifically after earning money. Here I mean the part where you meet programs that claim that you can learn to create a fortune with very few funds and very little time. What I’m trying to be is very hard on the assessments. I’d rather have a minor beginning with something I’m in doubt. I do not say that all you encounter is crap and scam, far from. But I have to say that 90% of the products I’ve met are inadequate and wrong enough for you to create authority online. It is not a peasant harvesting with more sales. No, it’s unfortunately entirely legal. But unfortunately, it’s also an efficient way to make you pay more for things you do not need. I can not save you from all the traps. But those I’ve mentioned here are some of those I meet almost daily in my journey online. If you have been cheated or have met some traps that I have not mentioned here, then it would be constructive to describe them in the comments below. PS just remember to press one of the social buttons while you’re here. 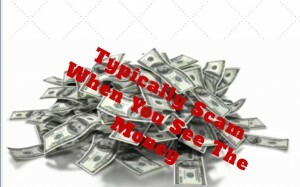 It is just so amazing of the many scams that are out there and is taking the money of so many hard working people. What you are sharing here is pretty amazing. 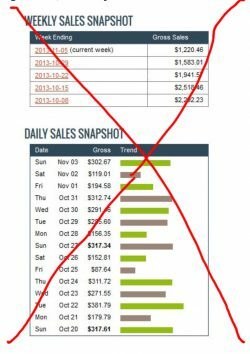 One sure signs to look out for is any system that promises that you will be able to make lots of money in a short period of time without really working. Great post. Thank you for the comment Norman! Yes, we’ll be much more sharp cheaters will become smarter and smarter. I myself have a few important principles that I work from. Money, I understand the money. Is it too good to be true? Then I always address myself personally.